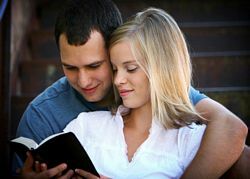 Christian Dating Advice to help you find your ideal partner in life. It's hard enough to find a person who you're compatible with, attracted to, and love being around, but when you have to factor in your religious beliefs and morals; it can become downright frustrating. That's why dating advice for Christians can be such a reliable resource. Here is some dating advice to help you along the way. 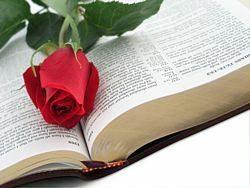 The first piece of dating advice for Christians, is to think about where you look for a potential boyfriend or girlfriend. Obviously, the ideal situation for a Christian is to find someone at church, or a Christian function. If that isn't possible, there are other options. For instance, instead of a secular online dating site, try one of the many dating sites that are made specifically for Christian singles. The most important dating advice is not to compromise your faith or morals when you are dating! Even if someone else doesn't share your religious views, they should respect yours. That means that they should not put you in situations or say things that make you uncomfortable or offended. If they do so, then you should try to find a new person to date; someone who will respect your Christianity! That is the best dating advice for Christians that anyone can offer. Should you or should you not date a person that's not a Christian? What if that person had the same morals and values as you? What if they believed in the good lord but just not religious? These are just some questions I'm sure lots of people ask. Christian dating advice is not easy to give. Well in my opinion, there are many religions and who's to say you're doing things the right way from the get go? My advice is to find someone that you're compatible with across the board then work from there. Just because someone says they're a christian doesn't necessarily mean they're a good person nor practice what's preached. People can be blinded by religion. Wars have been started because of it and that's a shame. Don't get me wrong, I'm not downing religion. I do believe of a higher being and higher self. Bad people hide out behind the curtain of saying they're religious and they believe in god. There are a lot of imposters out there so be careful.